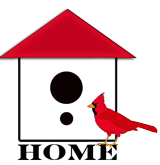 The Cardinal Healing Cards are designed to be laid out into Four Cardinal Quadrants, each representing one of the four energies of life – Spirit, Soul, Mind, and Body. To begin your reading, shuffle your cards, lay them out in a fan pattern, and as you look them over, select your first card. Turn it face up and place it in the upper left hand Quadrant, Q1 (Spirit). 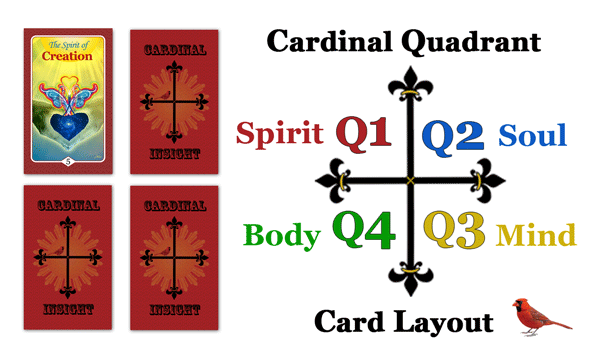 Then select card two for the Q2 Quadrant (Soul), card three for Q3 (Mind), and card 4 for Q4 (Body). As the pattern of the cards is revealed, so is the Spiritual Power of your reading, beginning in Q1. As you use the Cards, be aware that each Quadrant or “Q” is part of the cycle of life. 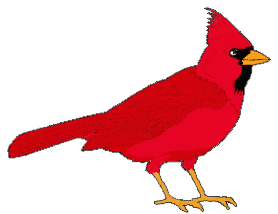 The cycle of life rotates through four seasons –– the seasonal flow of nature — and so our lives flow from one Q to the next, to help us heal and grow through Cardinal Healing and Insight. As you begin to read these channeled card translations, know that they are all created as an introduction: an introduction designed to inspire all your thoughts and feelings, and never to surpass your own intuition. As you lay your cards out, it is important to allow each card image to open your heart, and feel whatever your first impression of the image is. To do this, simply allow your True Inner Feeling to bring Light to your Inner Vision, so that you may begin to heal and In-Lighten your life. 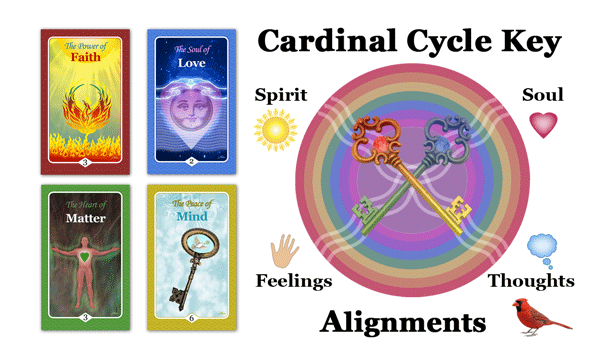 Cardinal Cycle Keys lead us to identify what we may need, and to Alignment to achieve Spiritual Balance. We must open our Mind to the Spirit for true insight within our thoughts. We must open our Feelings to the Heart of our Soul to receive the true E-Motions of life: Love, Peace, and Joy. *Each deck of Cardinal Healing Insight Cards contains a booklet guide for the symbolic interpretation of each card.